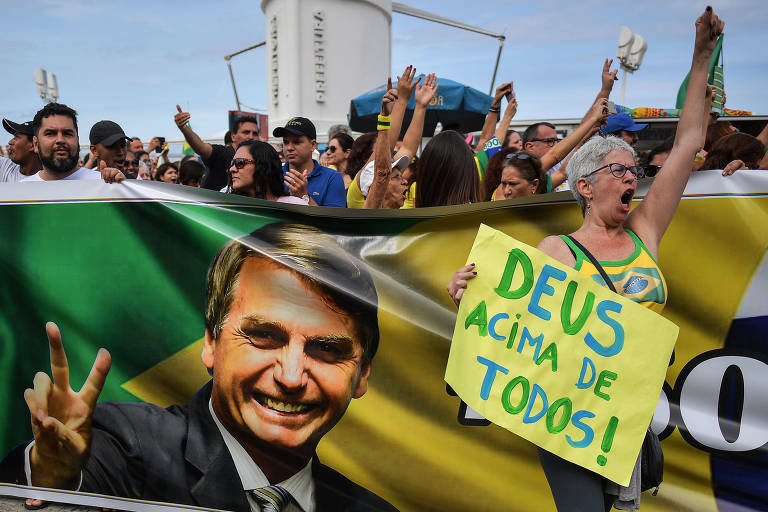 Presidential frontrunner Jair Bolsonaro (PSL) uses more tactics associated to fascism than American president Donald Trump, says Jason Stanley, author of a recent book called "How fascism works: the politics of us and them". To Stanley, who taught at the University of Michigan (2000-2004) and Cornell (1995-2000) and currently is a faculty member at Yale University, what differentiates the two is that the Brazilian politician appears to be more favorable to violence. The philosopher started to study fascism through the propaganda and linguistics perspectives. He questions Bolsonaro as a democratic leader, since he makes statements directly opposed to democracy, like saying he won't recognize an election result that is not his victory - something he later minimized. "The only reality a fascist sees is his or her own," he says. Is Bolsonaro the only candidate where you see these traits? Stanley - I don't know much [about Brazil]. But I know that Bolsonaro attacks people different than him, particularly racial minorities. He calls them criminals. It's always like that. In Germany, Jews were lazy and criminals. In the US, racists say that blacks are lazy and criminals. Bolsonaro says that Brazilian blacks are lazy. Power and strength go together within a group, like white people. They are dominant, so they are the winners. All the rest is worthless. This is fascism: the idea that the hated group - blacks, for example - are criminal and violent. Stanley - He is scary because he is openly anti-democratic. He openly talks about arresting and killing his adversaries. Fascist politicians create panic when they talk about foreigners destroying the country's strength. Bolsonaro does all this. What makes someone think that such a person would give up power? Fascists never give up power. They see democracy as a weakness. If they say they will be tough, lifelong leaders, why vote for him? Why wouldn't he do what he says he is going to? It seems to me that that's what he saying. He is saying that once in power, he will remain in power, even using violence to do so. He is being explicitly anti-democratic. What can we expect from Bolsonaro if he's elected? Stanley - One thing about this sexist fascist ideology is that they mean what they say. So what Bolsonaro says what he is going to do? You have to believe him. He is speaking the truth about what he is going to do - but he is lying about why he is going to do it. Stanley - He is against gay people and says minorities are lazy. Does he talk about killing political opponents? Does he present himself as the tough guy, who will kill criminals with no need of a court? Does he say that women shouldn't be political leaders and that their place is at home? Does he commend dictators, as Trump does? Does he say good things about Brazilian past dictators? Does he talk about the military, and how he is the true Brazil, how the left wing is ruining the country and how he will do something about it? These are the traits.